I had seen a beta version of the Visual Thesaurus some time ago. Then when it was finally released I kept on coming back to their web site, like a child returning to the window of a toy store, but never purchased it (what's the use... I've already got several thesauri on paper plus more in my word processor and other applications). Still, it kept tantalizing me: I never deleted the link from my favorites, and from time to time kept coming back to give it a new look. Finally, a few days ago, I decided to try a monthly subscription (the tool comes either as a standalone installable application, or as a web subscription). I think that I am going to upgrade both to a full yearly subscription and to the standalone version (just in case the web is down). 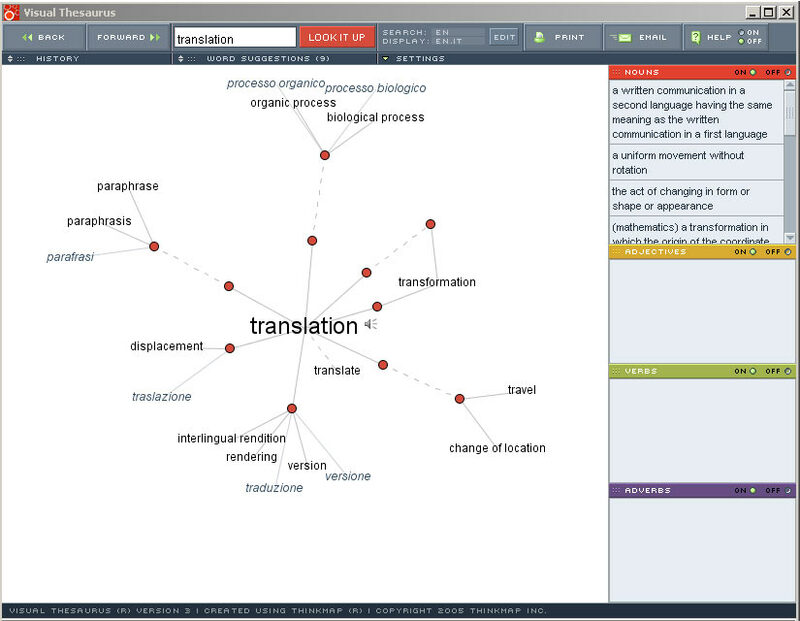 The web version includes a beta version of a multilingual thesaurus (click on screenshot above to get a bigger image) . 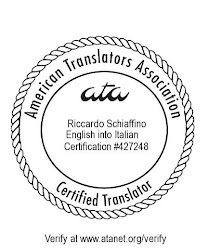 Though the multilingual content is a bit patchy at the moment, it promises to become a great tool for translators. It already is a wonderful tool for anybody who writes in English, or who is in love with words. 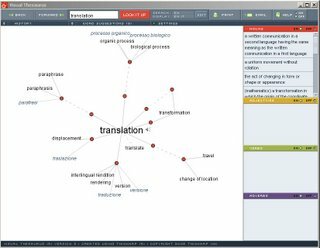 Lexipedia found at http://www.lexipedia.com is a fully functional version of Visual Thesaurus however it is free and has an expanded view of words and languages.